Considering that China’s decades-long emergence on the world economic scene has played out faster than the development process that took place in western countries, it’s perhaps not much of a surprise that mainland Internet companies have emerged more rapidly than their Western counterparts. It took both Facebook (2004 – 2009) and Twitter (2006 – 2011) six years to cross the 300 million user mark, yet Tencent’s WeChat messaging app, known as Weixin in China, amassed the same amount in less than two years. Tencent, China’s largest Internet company, combined free texting (inspired by Kik Messenger), walkie-talkie (first seen on Hong Kong’s Talkbox) and location features to come up with China’s hottest mobile messaging app. As companies on either side of the Pacific Ocean are concerned about revenue declines in the shift to mobile, Tencent’s impressive growth is a point of hope. However, WeChat still faces the same mobile monetization dilemma as its competitors.. Even as WeChat has nurtured an extremely extensible and versatile mobile messaging platform, plugins bring additional features that define the service in their own ways. For instance, the powerful combination of its ‘public platform’ – a feature currently being tested by rival Sina Weibo – and official accounts turns WeChat into a superb marketing channel to reach out and target customers. 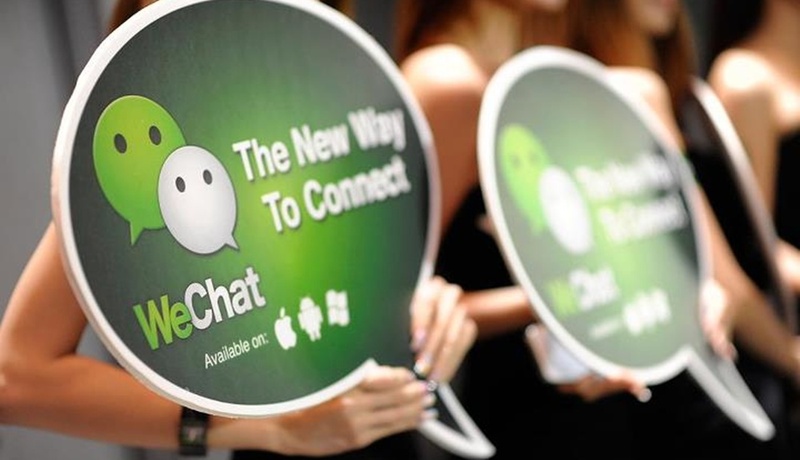 The app’s location-powered ‘find-people-nearby’ and ‘shake-to-find-friends’ features further enable WeChat to become something else – a connections service for strangers that is particularly popular with youngsters. Its social network-like ‘moments’ feature, which lets users post photos and updates to a wall, helps WeChat build a Path-like private social networking site atop its messaging system. The list goes on and on, yet, WeChat has managed to keep the simplicity of a messaging service at the forefront. Allen Zhang, the hermit-like mastermind behind WeChat recently said in an interview with BusinessValue that, to him, WeChat is primarily “a messaging system…people and messages circulated within the system”. To put it simply, messaging is the core feature of WeChat while all the other functions are implemented through plugins. That’s one of the reasons WeChat can remain so simple – and yet offer such diversity – even in the face of increasing adoption. Wuhan University Assistant – Integrating a student’s identity with Wuhan University allows them to look up information via the app, such as their GPA, syllabus, facilities location, lost and found items, and more. LegalSiri – A subscription-based $1.61 per month (RMB 10) one-on-one legal consultant. The company had been developing an iOS app last year but, after internal deliberation, they decided to give WeChat a try and give up on a dedicated iOS app. The app made RMB $32,000 (RMB 200,000) in revenue during its first month. 110Chi.com/Waimai.net – This plug-in allows WeChat users to order a meal by providing their location or the desired restaurant’s name. As the examples show – and there are countless more – WeChat is taking a leaf from the Apple playbook which saw the App Store emerge as the largest app empire on the planet. WeChat is similarly well-positioned to enable a full-fledged app ecosystem based on its offering. Speaking earlier this month during the annual session of China’s National People’s Congress, Ma revealed that WeChat is on the verge of launching a mobile social game feature and micropayment options to bring further revenue streams to the platform. This is the first time that the Tencent head has spoken so openly about WeChat’s money-making potential. Korean rival KaKaoTalk has already shown how to build a gaming service from a messaging platform, and Tencent paid $64 million (RMB 400+ million) for a 13.84% share of KakaoTalk last year. Since then, KakaoTalk Game has soared in popularity, producing several top-grossing games on Android. As such, Tencent is keen to import that idea and experience to its own advantage with WeChat. The foundation for mobile revenue is still a fragile one. WeChat is exploring how to implement a viable monetization effort without driving away users with a compromised user experience, but these are the growing pains that all mobile offerings have to undergo.